Genealogy is an exciting hobby where we can learn so much about our family’s past. And it doesn’t have to cost you anything as you will discover with these free genealogy resources. There are plenty of resources here that will help you build your family tree and your knowledge of your ancestors immensely. I found many free resources! As I discovered whilst tracing my own family history I found many places that could help me with my genealogy research. While building out the branches of my family tree I found more and more avenues of research that helped me greatly. You wouldn’t believe just how much that is available to you, both offline and online. But of course you need to know where to look. Since I first began this genealogy website back in June 2016 I have written many posts about the various resources and tools that can help you to research your ancestry. All these resources in one place! So, to make it even easier for you to discover these free genealogy resources I thought that I would bring them altogether into one useful post. From this post you can see how much genealogy help that you can get for absolutely nothing! Please note: There is a link to the full post after each resource. Please click on them for further information. While researching for your ancestors you may need some help along the way. Besides checking out the many guides and tips that you can find at The Genealogy Guide you can also get help with the aid of genealogy books. But where do you find these, and most importantly where are there free ones? Well, I have done the hard work and have found you 6 helpful sites that cover many different areas of genealogy research. Cyndi’s List – A catalog of lists concerning everything about genealogy, including where to find free ebooks online from various sources. FamilySearch – Not only does this site contain the world’s largest free collection of records but also books as well. Currently there are more than 350,000 publications within their database. Family Tree Magazine – One of the most popular genealogy magazine’s, this company also offer a variety of books free of charge. Forgotten Books – A collection of out of copyright genealogy books that contain personal family histories, indexes, origins of American settlement, and much more besides. Google eBooks – Within the collection of books that you will find at Google Books you will also discover many free genealogy books to help you with your research. Kindle Unlimited – Similar to Google there are also free ebooks to be discovered with Kindle’s collection. Genealogy classes are a convenient way for you to learn all the tips and tricks that go along with family history research. Often these classes are presented by experts in the field who have probably got some sort of genealogy degree or certificate. As you can imagine being taught by the best doesn’t come cheap. Learning all that they know will obviously cost you something. But no that is not the case as there are free genealogy classes that you can check out for yourself. FamilySearch Learning Center – FamilySearch is a site that contains the largest collection of free genealogical records and family trees. And they also provide hundreds of genealogy classes through the Learning Center. Genealogy.com – The classes that you will find on this site give you an overview of what genealogical records that you can use for your ancestry research. No pictures are included in the training, but still these classes will help you begin your journey. UK National Archives Family History – Valuable video and audio classes that will help you to trace your British ancestry. These classes are given by the viewpoint of the presenters own experiences. YouTube – The world’s largest video collection can also help you to research your family history. Just search for “genealogy how to” and you will discover thousands of videos that will help you. National Genealogical Society – Technically the videos contained on this site are free, provided though that you are a member to the society. Nevertheless, you will learn not only what records are available but how to research for your ancestors. No matter who you are everyone will get stuck or hit a brick wall while researching their genealogy. After all if you are beginning this journey chances are that you are learning about this hobby on the go. So, in these circumstances you want to get some help. But where do you find it and will it be free? Depending on where you go it may cost you but I have uncovered 8 ways that you can actually get help for free. Ask Your Relatives – Yes, it’s that simple. When you first start out on this journey please ask your relatives for help. It will save you a lot of time tracking down information that they may already have. Family History/Genealogy Societies – Often you will get expert help from the people who run these societies. They will know the local area and so will be able to point you in the right direction. Local Library – Similar to societies you can find local history books on where your ancestors grew up. Also, there are computers that you can use for genealogy research and also you can get expert advice from the genealogy classes that are put on by the library. Genealogy Search Websites – FamilySearch is just one free search website that you can check out. Popular genealogy sites such as Ancestry and FindMyPast offer 14-day free trials, so it’s worth checking these out. Genealogy Blogs – There are so many blogs online these days when you can get help for free on so many topics. These blog sites are created by both experts and amateur family detectives. Message Boards and Forums – Similar to blogs you can find other resources that are free and will cover a range of different genealogy topics. Archives – Your local archive center may provide a free genealogy service. This though does depend on government funding. When I first started to trace my family history I was drawn to subscription sites such as Ancestry and FindMyPast. I found so much valuable content on these sites that it quite literally kept me busy for years. But if you don’t want to pay to access genealogical records from sites such as these then where do you go? Well, there are free sites that you can visit. The information maybe limited but you may still find records about your ancestors that will help you. Access Genealogy – Contains the largest collection of free genealogy material for your United States research. At least that’s what they claim. Billion Graves – A really valuable site where you can find images of your ancestors headstones. Please be advised that you may not find your ancestors on this site but the catalog is growing so it’s always worth checking back. DeadFred – Similar to the previous entry this site offers the same valuable resource. If you do not find your ancestors at Billion Graves then it is worth checking this site out. FamilySearch – The world’s largest collection of genealogical records has helped me find information about my ancestors for free. It’s best to check this site out before you go checking out the paid subscription sites like Ancestry. FindAGrave – Another grave website that will help you find the headstone of your ancestors. Although not as many as Billion Grave, the collection is still quite impressive at 162 million graves at last count. FreeBMD – This site is suited for the British family genealogist where you can find vital records such as birth, marriage and death certificates. Although obviously not complete it is a great place to start you research for free. FreeCen – Similar to the previous entry this site offers a free collection of censuses from 1841 to 1891. Please be advised that this is another British resource. RootsWeb – There are a few different resources that are available to you on this site, such as family trees, records, message boards, search engines and databases. Definitely worth checking out. US GenWeb Project – Helped by the many volunteers that use this site you will be able to discover where you can find information about your ancestors. WikiTree – Research your ancestry through the family trees that are submitted to this site. You can upload your family tree and your DNA raw data if you wish. For me FamilySearch was the a great help to me as I find many records here that I normally would have had to pay for elsewhere. Family tree building software is a great tool that you can use to create and build your, well your family tree. Not only can you add people to your tree but also countless pieces of information about them. Typically, when you begin to trace your ancestry you may buy software for you to do this, (like I did). But you can actually find software that is completely free. The tools and features of these free versions will be limited, but still you will be able to make a start with these programs before you move on to the paid versions. Ancestral Quest Basics – Not only can you build your tree with this software but you can also connect to genealogy sites as well. Although to access records from these sites you will need a subscription. Family Tree Builder – This is a free tool presented to you by MyHeritage which is a very popular genealogy search website. But again you will need to pay to gain access to any records that you may find about your ancestors. Gramps – An impressive resource that continually gets updated by suggestions from its users. There is so much going with this piece of software that you will be impressed. Enough said! 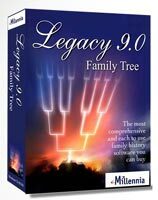 Legacy Family Tree Standard Edition – This is the free version of the most popular genealogy software. Although limited to its features it still can help you immensely with your research. Personal Ancestry Writer II – Specifically designed for Mac users this software is simple and easy to use. It is a great starting tool for any genealogy beginner. RootsMagic Essentials – Another free version of a popular software title. The tools and features are limited but it can still help you to build your family tree. When you start out on your family history journey you will find a lot of information about your ancestors. So, you will need something to record what you find. A family tree builder is a useful tool to create and build your tree. And also records details about your family. Forms and charts are also a great way for you to record details and keep your research organized. Being organized means that you will know where you are with your research and find what you are looking for effortlessly. I will just list here three of the resources where you can find these free forms and charts. For more information please check out the link below. Ancestry – Although a paid subscription site you can still download forms which you can use for your research. FamilySearch – This entirely free genealogy site also offers forms and charts that you can download completely free. National Archives and Record Administration – From this site you will find census forms, and immigration and useful military forms. DNA testing doesn’t come cheap although it has come down significantly since becoming available to the public more than 20 years ago. Depending on how much you want to spend one of these kits could cost you as little as $60 or perhaps hundreds of dollars. The more that you spend then the more detailed information that you will uncover about your ancestors. And with science improving all the time you will get information popping up in your mailbox from time to time. The guide that I have written will show you whether you can or cannot get a free DNA testing kit. Please be advised that there are different kinds of tests besides a genealogy test. There are paternity tests, maternity tests, health tests, hereditary diseases tests, and more. Please check out the following link for more information. Once you get your results back you will uncover a plethora of information regarding your ancestors. You will discover where they originated from, their migration path and also you may possibly connect with living relatives. There is certainly plenty of information here that will help you with your genealogy research. It is just another useful resource that you can utilize to discover more about your ancestry. But if you want to take this area of research one more step further then you can upload your raw DNA data to other sites. The benefit of this is that you can get more information for absolutely nothing. DNA Land – This site can possibly connect you with distant cousins. You will though be relinquishing your DNA for scientific research, however your details will remain anonymous. FamilyTreeDNA – You can upload your DNA data for free to this popular genealogy website. As this site is growing in popularity there is a real chance that you will make some connections. Gencove – Although this is a recent site it definitely can help you greatly with your research. Different to other DNA testing companies this company looks at more you genome than all the others. This means that you will uncover more about your ancestry. GEDmatch – A widely popular DNA resource among the genealogy world. You can not only learn more about your DNA but also connect with distant cousins as well. GEDmatch Genesis – An improvement on the previous site this version will give you more results. And also more DNA test kits are accepted through this site. MyHeritageDNA – Another popular genealogy search website offering DNA testing. They also allow you to upload your raw DNA data for free where you can access genealogical records and connect with other members who may indeed be your relatives. I hope you enjoyed this post showing you where you can find free genealogy resources. If you have any questions or comments then please leave a comment below. 4 Ways You Can Get Records at FindMyPast For Free! I had no idea there were so many resources for free. Thanks for sharing these Owain! I was amazed and overwhelmed at the same. For someone who wants to start but has a family tree only up till great grandparents and would like to expand it further, which tool will be the best one to start with? Before checking out these resources I would suggest to you to have a look around your home to see if there is anything that can help you. You may find some old family photos, certificates, documents, records, medals, etc. Interviewing older relatives is also a very good option. Please check out my Top 20 Family History Interview Questions for further information. After you have completed those two options then I would suggest for you to check out the free genealogy sites. From here you can find all sorts of information that will help you to fill in the gaps in your knowledge about your ancestors. Hey Owain, great article, amazing resources. I’m not really into genealogy per se but have been kind of curious about my genetic ancestry since it is said to be Scots, Irish, Norwegian and Native Indian. But I recently read a news article that mentioned that the recent popularity of “Test Your DNA” kits comes with some concerns about privacy. Would you care to comment on that? Thanks Kathee for your comment and query. There are two sides to this debate about privacy. Yes a DNA testing company will keep your DNA information, and they may use your DNA for research purposes. You can always opt out of this though if you wish. You can relinquish your rights to your information in order to find out more about your ancestry through DNA research. And plenty of people have done this. Whether they do know fully about their rights I cannot answer. We are living in a big brother world where companies know all about us, maybe too much. But with this information that they know about us they can provide a better service. Now on the other side if you do not want to hand over your DNA information then you don’t have to. But you will be missing out on finding out more about your ancestry and also the possibility of connecting with distant relatives, (where they may also pass on information to yoursel). I cannot say to get a DNA test kit or not. That is a personal decision. But I can say what are the benefits of taking the test and how it can help with your research. Please feel free to reply Kathee if you wish. Thank you and all the best with your genealogy research. Wow! I did not know that YouTube offered free genealogy classes. That is amazing. As a poor college student, I cannot afford to search up anything expensive. YouTube will save me a lot of money. I also enjoyed your recommendation of asking relatives. When asking them though, do you have any advice? How do I frame the questions? My relatives’ memories are not the best, so I am not sure I can entirely trust what they have to say. I look forward to hearing your answer. YouTube seems to have everything. What with funny cat videos and people falling about it’s no wonder that there would be useful information on this video platform about genealogy. Please check out my Top 20 Family History Interview Questions post Alex. It will give you tips on how to conduct an interview, how to take notes, my top 20 questions to ask and plenty of tips as well. To answer your question though just note what they say and then go and try to back up what this information with some evidence, i.e. documents, records, certificates, etc. I had no idea that there were so many free places to get help with this. I have tried Ancestry.com in the past and got very frustrated when I was unable to finish my search because I didn’t have the money for ir. I really wish I would have known all of this before I started my family tree. Thank you Heather, I am glad that you liked the article. You may want to check out my 4 Ways You Can Get Records at Ancestry For Free post. There are some great tips in there that you will find helpful to get information from Ancestry for free. 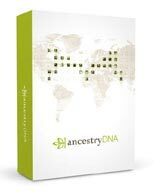 I was curious about how to find more information about where my family came from and I was blown away by all the resources you have listed. I had no idea there were so many. Free is good. There is nothing that is worse when first starting research and the resource has their hand out waiting to sell you the information. You have an incredible amount of places to start a free research and in-depth procedures on how to take it to the next level. Thank you for this valuable information and resources. Thank you Kenneth and you are most welcome. It did surprise me to find so many free resources. I do wonder though if I have thought of everything. Still there is plenty here to keep anyone occupied. I was unaware of the tools you have outlined in this article. Thanks for sharing as this will be very beneficial to my families search. Most everyone is interested in knowing where they came from and who they are part of. Your post is one of the better outlets of how to get started and get through information. Your website is pleasing to read and optics are very good. As someone who has walked down this path before I have learned myself where to find information and how to find it. So I wanted to give back to the genealogy world and help others find their ancestry. I have done this by writing posts that are simple and easy to follow. I do not want to get too technical. I want to provide help that everyone can follow. Very informative and nice organized web site and posts. I like the topic and the relevant data, tools, forms, software. Well done! Useful stuff! I am sure many people would like to know where they are from, what their family past look like and who were their forebears! This site will help them a lot. Thank you Igor for the compliment. It is most kind. There is so many guides and tips that I have written on this site since starting it nearly two years ago. Please share this post and the site to your family and friends.